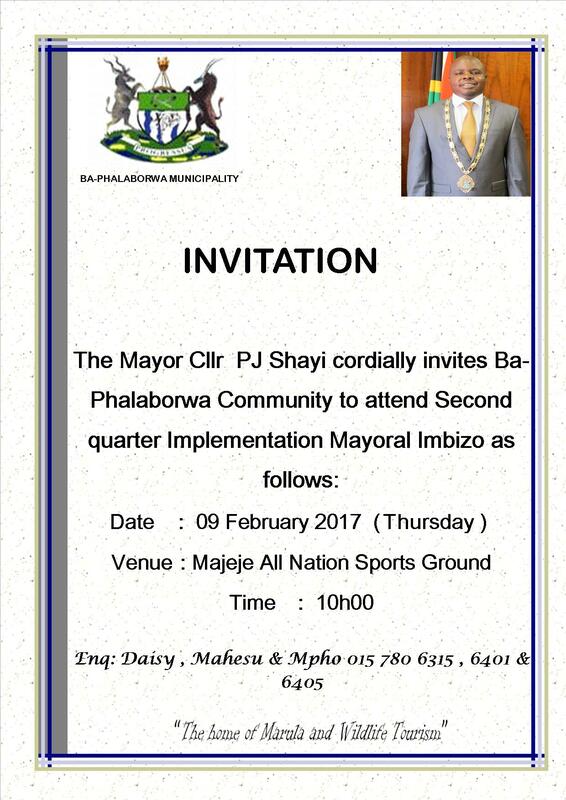 The mayor of Ba-Phalaborwa Municipality (Mayor Pule Shayi) welcomes you to the Ba-Phalaborwa Municipal Website. The website has been developed as a tool for transparency and also as a medium of communication between our municipality and the rest of the world. We hope to provide you our visitors with up to date information you require about the municipality administration, events, the geographic area and other relevant areas of interest. The Municipality engaged in a strategic planning session, where a SWOT analysis was established and strategic objectives were developed. The process was followed by the development of projects emanating from the needs and challenges identified in the strategic planning session and IDP public participation. Ba-Phalaborwa Municipality "The Home of Marula and the Wildlife Tourism".